Whether you're buying, selling or merely curious about a saxophone, a very useful piece of information is the saxophone’s serial number. According to Saxquest.com, a saxophone's serial number can be used to find out when the instrument was made as well as occasionally where it was made and by whom. 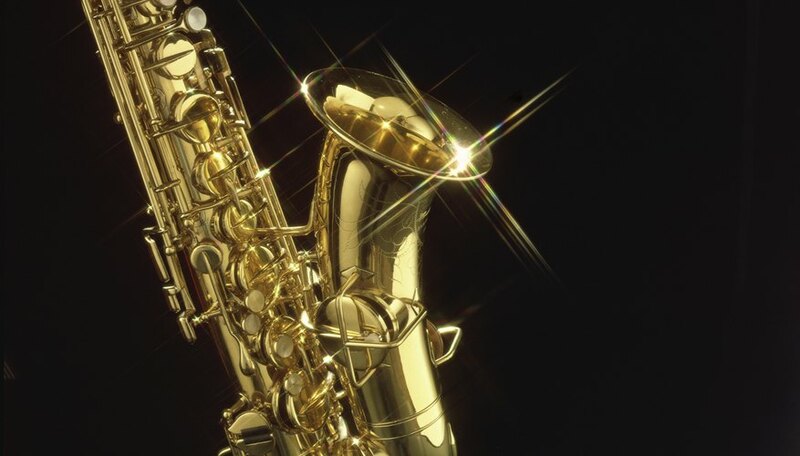 All genuine name-brand saxophones have readily findable serial numbers. If you cannot find yours, chances are reasonably good it is not actually a product made by the company whose name it caries. Look below the thumb rest. According to Saxophone.org, the most common location of a saxophone’s serial number is just below the thumb rest. The thumb rest is a wide plastic or metal hook located about six inches below the place where the main body of the saxophone attaches to the neck. Check inside and under the bell if the serial number is not below the thumb rest. The area around the bell's rim (either inside or out) will be a good place to check, as the number may be imprinted there. Check the area around any inscribed designs, messages or the brand names. Serial numbers are not typically stamped there, but these areas are worth checking. Check any documentation that came with your saxophone. While these documents may be difficult to tie directly to the saxophone–as they are exterior to the instrument–a questionable serial number is preferable to none at all, and perhaps you can find a listing for your serial number that indicates why the number would not be stamped on the instrument itself. Contact the person that has sold or is selling the instrument to see if they have any further information concerning the serial number's location or absence. Taking your instrument to a music store can be a great help. Often an instrument repair technician can find the serial number as well as provide helpful information about your saxophone. Do not confuse the model number with the serial number. A model number is typically shorter and may have a word in it. Serial numbers are typically longer and are comprised mostly of numbers. For example, a famous saxophone model number is MarkVI, while the serial number could look like 103000. Thomas Anderson is a musician and writer in the Marquette, MI area. He holds a bachelor's degree in music education and has written for various local publications and websites as a music journalist for over six years.